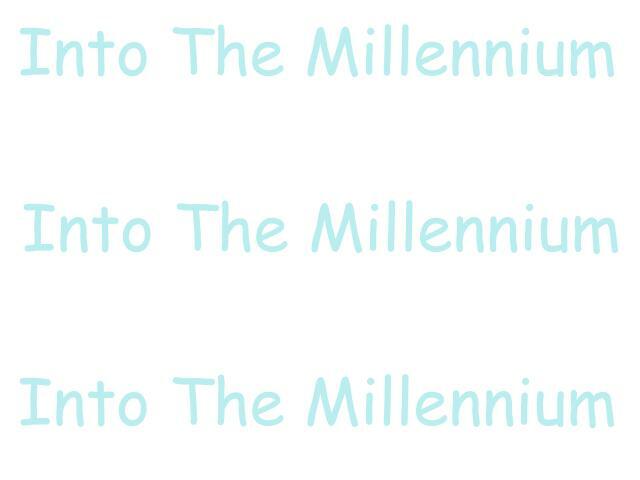 So you want to join the 'Into The Millennium' Webring, huh? Well, read these rules to join and continue on! Your site must be BSB related consisting of all members or individual members. Your site must be updated at least every month, no later than that. Does your site follow all those rules? If so, read on. If not, please do not join webring. After you finish reading the rules please click on the continue button at the bottom of this page to submit your site. After you submit your site, please copy the HTML code for my webring and paste it on your main page or if you have a webrings page. I will look over your site to make sure you have the HTML on your page before submitting your site into the ring.